Lots of great summer reading! My essay, The Inexplicable Math of Good Poetry, in which I discusses the language used to describe poetry, is available in the most recent issue of Poet’s Quarterly. 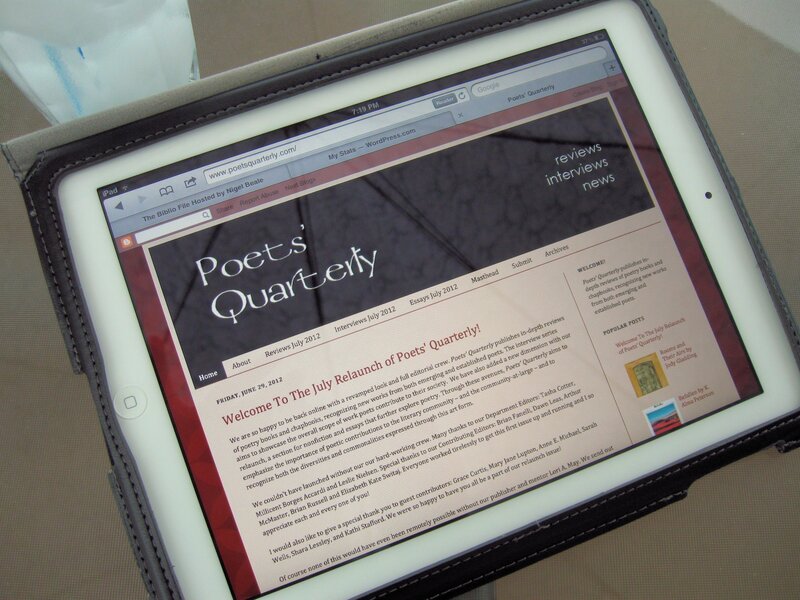 Poet’s Quarterly is an online journal that publishes reviews, interviews and essays. The journal’s aim is to emphasize the importance of poetic contributions by poets and those who write about poetry, and to recognize both the diversities and commonalities expressed through this art form. On June 29th, the journal re-launched after a brief hiatus with a full-house issue that will provide enough great reading to last the long-hot summer. I’ve just scratched the surface myself. It is packed full of reviews, interviews, and essays. Below is a complete roster of all the articles included in the summer issue. Congratulations to the distinguished editorial staff, Joan Hanna, Managing Editor, Tasha Cotter, Reviews Coordinator, Millicent Borges Accardi, Interviews Editor, Leslie Nielsen, Nonfiction/Blog Editor, Contributing Editors, Brian Fanelli, Dawn Leas, Arthur McMaster, Elizabeth Kate Switaj, and to Lori A. May, Founding Editor/Publisher for a successful re-launch. This entry was posted in Poetry Events, Poetry Journals and tagged Grace Curtis, Poet's Quarterly, Poetry. Bookmark the permalink.